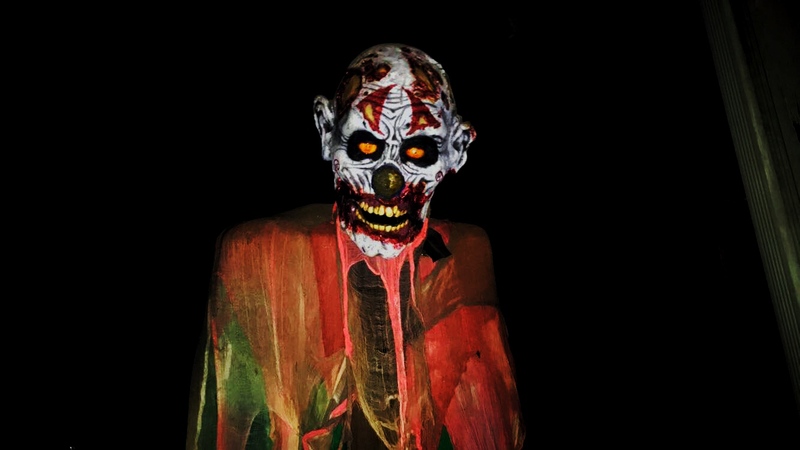 Check out the terrifying secrets and unforgettable haunts at Shocktober, the area’s only actual haunted house. 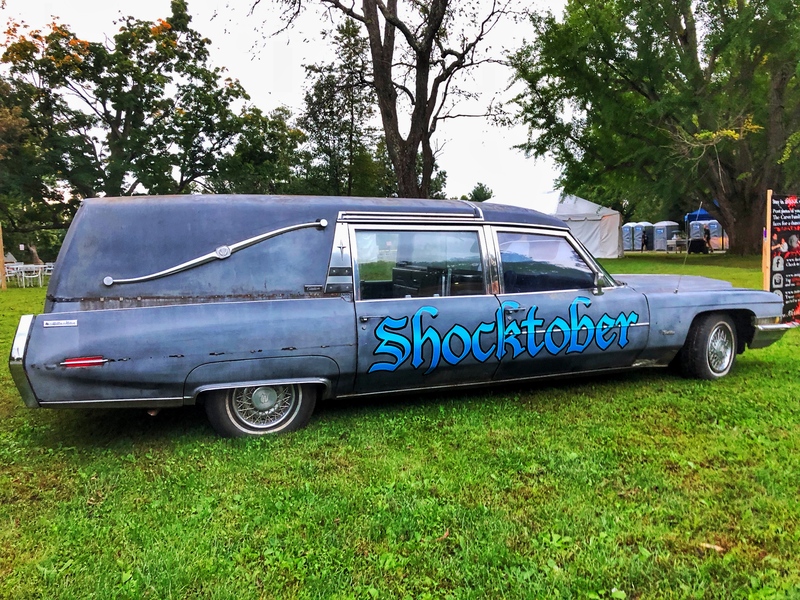 The first stop on my tour of haunted houses led me to Shocktober in Leesburg, Virginia. As soon as I set foot on the grass, I immediately felt the dark and ominous presence that exudes throughout the entire campus (and got a stern warning from a creepy zombie telling me to stay off his grass). The grounds currently serve as a school campus for children with autism and other disabilities. It’s a wonderful place for many students to thrive in a warm and welcoming environment, so I was entirely shocked by its dark nature and deep-rooted secrets. 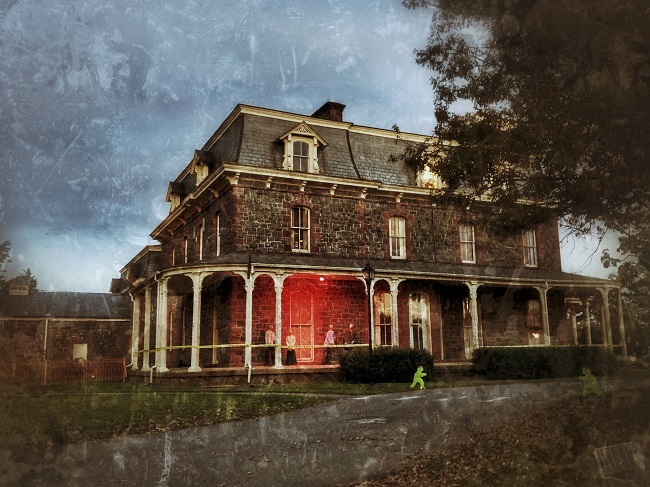 Shocktober isn’t just a haunted house dressed up to scare people for Halloween – it’s an actual haunted house with paranormal activities year-round. According to legend, there was a terrifying headmistress that ruled the Paxton Hall school building and tortured the students that attended the school. One day, the students revolted and tried to take back their school, but the headmistress had other plans. She didn’t want her secrets getting out or the kids destroying her reputation, so she locked up the building, boarded the doors, and closed all the windows. According to rumors, 57 children went missing that day in a bloody and violent battle. However, their tortured souls still roam the halls today, waiting for someone to hear their story. 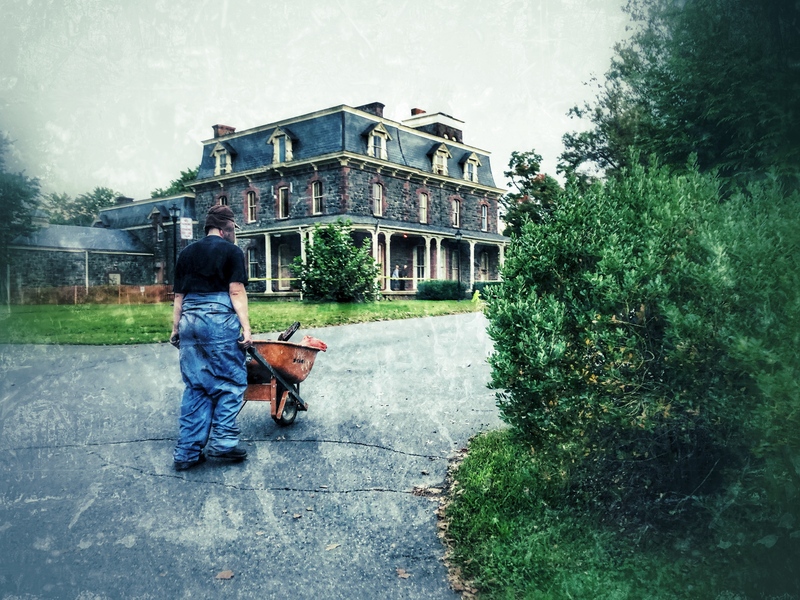 When you walk into Paxton Hall, you feel as though you were teleported right back to that night – the night when dozens of students lost their lives. I stared in awe at the building’s beautiful decorations and exceptional architecture but didn’t get long to explore before my heart started racing and I was running for my life. Shocktober plays off the building’s legend and shows you exactly what the students were doing when they lost their lives. There are creepy children aimlessly staring at television screens, sickly students deteriorating in the nurse’s office, and body bags lining the walls. Some of these children are seeking your help, but others have already crossed into the demonic realm of the underworld and are looking to take you there with them. However, the most terrifying thing about the haunted house is definitely the props. Shocktober has some of the best and most terrifying props I have ever seen in my life. The floors shake beneath your feet, lasers prevent you from seeing anything below your waist, and animatronic spirits pounce to give you many mini heart attacks. You’ll likely see things you’ve never seen before and experience everything from utter confusion and dizziness to absolute horror. After escaping the three floors of Paxton Hall, you’re sent back into the real world, but your time with the undead is far from over. Now, it’s time to move on to the basement – the most haunting part of Paxton Hall. Here, the bottom floor of the building has been transformed into the Carnival of Souls. You’ll come across murderous clowns and a never-ending maze that will literally make you lose your mind. As you question your sanity, you’ll likely traverse the carnival many times; but the spirits won’t mind. They just want to play. At the end of your tour of the haunted house, you'll also get a chance to tackle Paxton Hall’s escape room for $5. I eagerly volunteered to lock myself in a room, and what I found was some of the grossest things I could ever imagine. Although there isn’t anything in the room that is meant to scare you, you’ll definitely test your stomach as you attempt to escape within five minutes. All in all, I would say that Shocktober is definitely one of the best haunted houses I’ve ever explored. They make sure that you wander the halls in very small groups so that you get the full experience, and provide some of the creepiest props in the state. 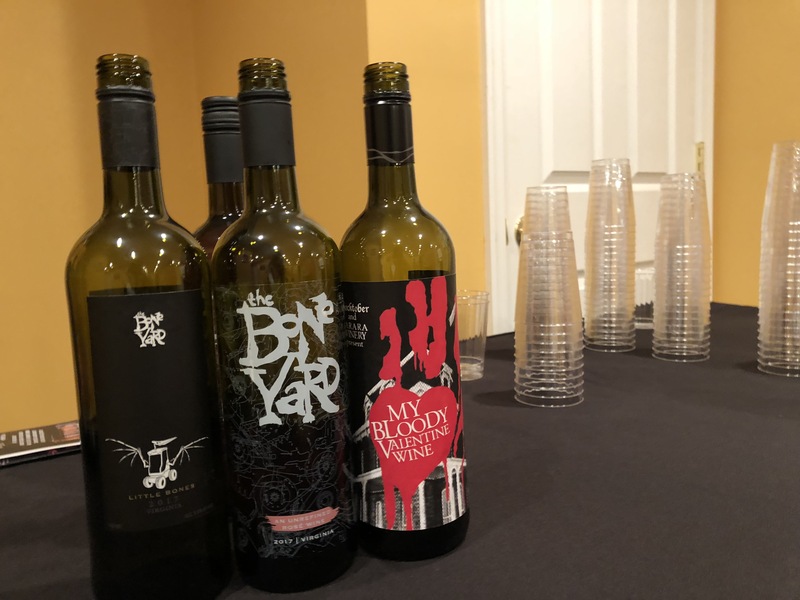 After the haunted festivities, you can also try your hand at their hilarious zombie game or grab some food, wine, or beer. All the proceeds go towards helping children with disabilities, so why not support a great cause and come get your pants scared off? Just make sure you’re brave enough to take on the challenge. Check out the story of this creepy haunted house in Richmond!